The information presented on this page was originally released on July 2, 2010. It may not be outdated, but please search our site for more current information. If you plan to quote or reference this information in a publication, please check with the Extension specialist or author before proceeding. MISSISSIPPI STATE -- Good growing conditions are contributing to a bumper crop of tasty watermelons for Mississippians. David Nagel, a Mississippi State University Extension Service horticulturist, said rains and cool temperatures delayed plantings but warm temperatures later contributed to rapid development. Harvests began in mid-June and peak each year around the Fourth of July. Mike Steede, retiring George County Extension director, said watermelon acreage increased more than 15 percent this year. Growers had plenty of rain. 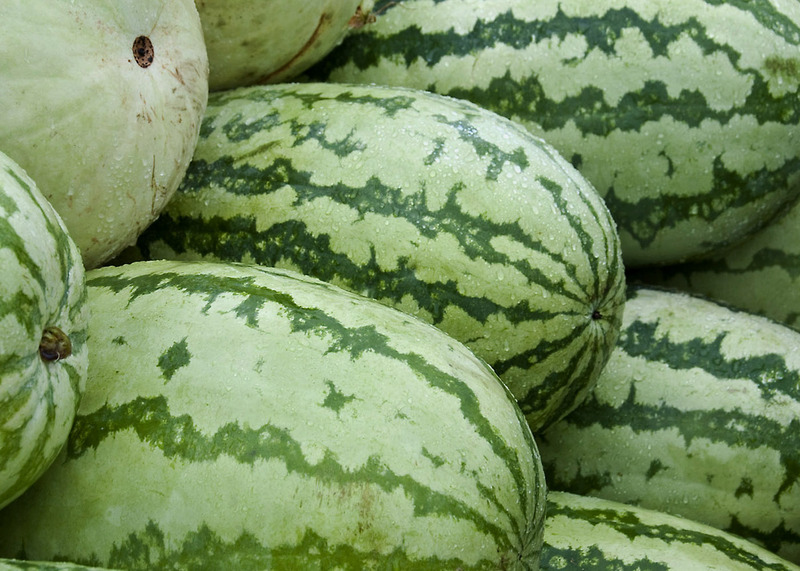 Because watermelons are so plentiful, especially in south Mississippi, the prices have been low. Otis Young of Starkville and his father have set up a roadside stand with melons they purchased from Farm Fresh Inc. in Webster County. His prices range from $5 for smaller melons to $8 for large ones. Myron May, co-owner of Farm Fresh, said he is glad his produce is popular. He and his brother planted fewer acres this year to make sure they didn’t grow more than they could sell. May said his growing season was not quite as favorable as farmers are reporting in other parts of the state. He had to use irrigation earlier in the season, and now disease pressure is picking up as the crop matures.